Even though it all started with chat rooms, nowadays everything is about finding a date or setting up that perfect hookup. Those who want to get back to basics and just chat with strangers and make new friends can now do so via OnlineChatCity.com. MIAMI, FL, January 05, 2018 /24-7PressRelease/ — Interestingly enough, the original chat room concept dates as far back as 1973, with Talkomatic – a program which allowed up to 5 people in a single chat session and which displayed each message letter-by-letter. Still, the ’90s were the true golden age of chatting, with software such as AOL and MSN. OnlineChatCity.com, on the other hand, functions a bit differently than its ancient predecessors. It features online chat rooms which revolve around a different subject, some of which can be nerdy, sophisticated and even for those older than 18. Truth be told, there aren’t as many online chat sites out there anymore, which gives even more value to this particular website. 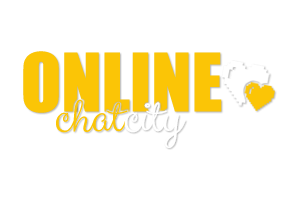 For those who want to get back to the good old days of chat rooms, OnlineChatCity.com is probably the best place to be. You can find this site at https://www.onlinechatcity.com/ at any time and from any place in the world.